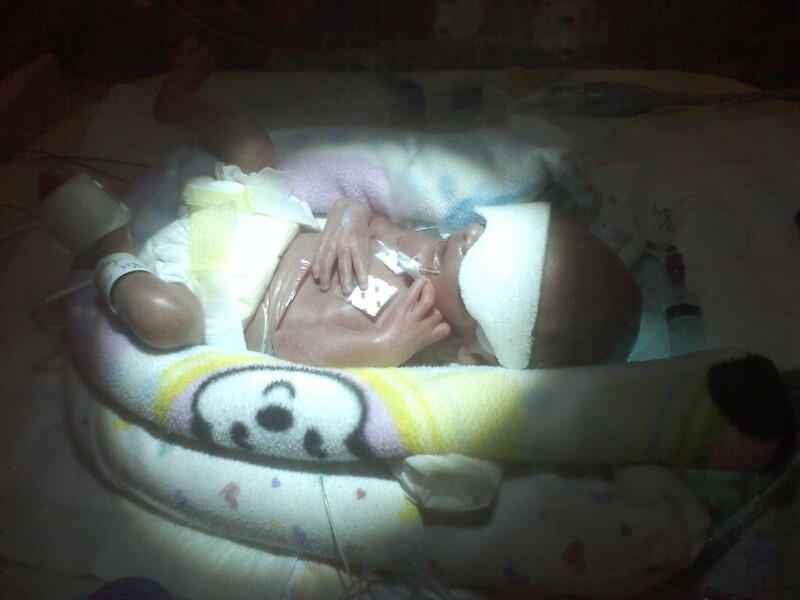 Here is a picture of Baby Will, the preemie I asked y'all to pray for earlier today. Cindy (Will's grandmother) went to see him today and said that he is doing good. They took him off the breathing tube about four hours after he arrived at Baptist South which is great. He did fluctuate with his breathing a few times but the doctors said that he was just forgetting to breathe. They tried giving him some of his mother's milk and he was digesting it for a while. He stopped and they returned to the feeding tube, but now they are feeding him his mother's milk again. The doctor's say he is doing really well, but that anything could still happen. Thank you so much for being intercessors for this child. I will be sure to keep y'all updated as I receive reports.